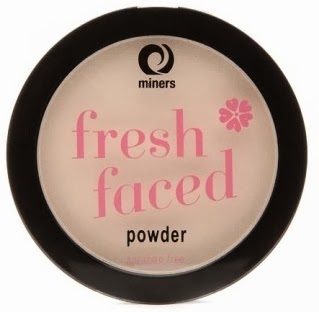 Touch Of Belle : Miners Fresh Faced powder! 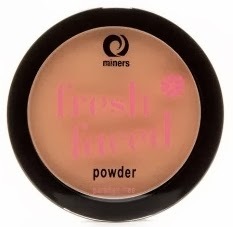 The Miners Fresh Faced Powder is available in three shades, Translucent Ivory, Soft Sand and Warm Honey. Translucent Ivory is great for those with pale Skin like me, Soft Sand is more for those with a light-medium skin tone and Warm Honey looks great for those with a darker medium skin tone. As the Warm honey is too dark for me I have used it a bronzer and I am so pleased with the results! I'm very pale skinned and I quite often find that the lightest shade is far to dark for me but Miners get my shade spot on! This powder is completely matte so it does an excellent job at getting rid of shine and keeping those oily areas under control, so its great for all skin types. I found the powder lasted for around 6 hours before I needed to reapply, when you first apply the powder it gives a nice even coverage that doesn’t appear cakey as it has a silky soft texture which allows you to blend in well. I think this powder is fantastic. I honestly cannot fault it. It's one of the best powders I've tried for only £3.99 its amazing! Thank you! Miners have some Great products I did a review of their foundation too, they are a great brand let me know how you get on if you try it! This looks great! I really want to try it now. They are really good! Let me know if you try them!